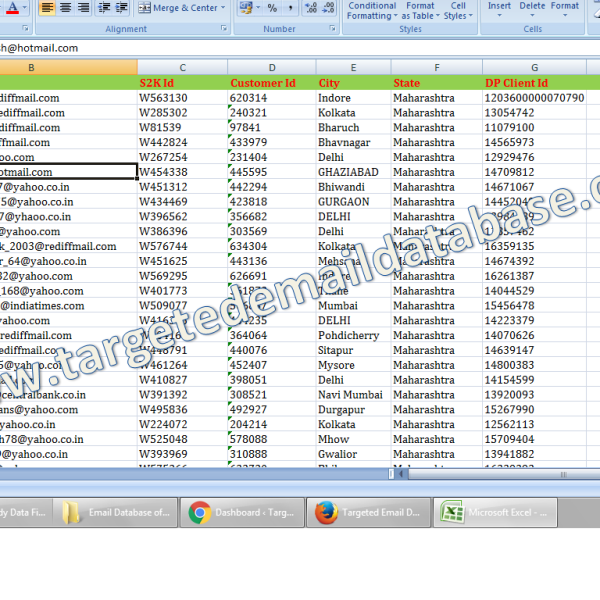 Email Database of Demat Account is an Email Id List of People who has Demat Accounts and Do Trading. 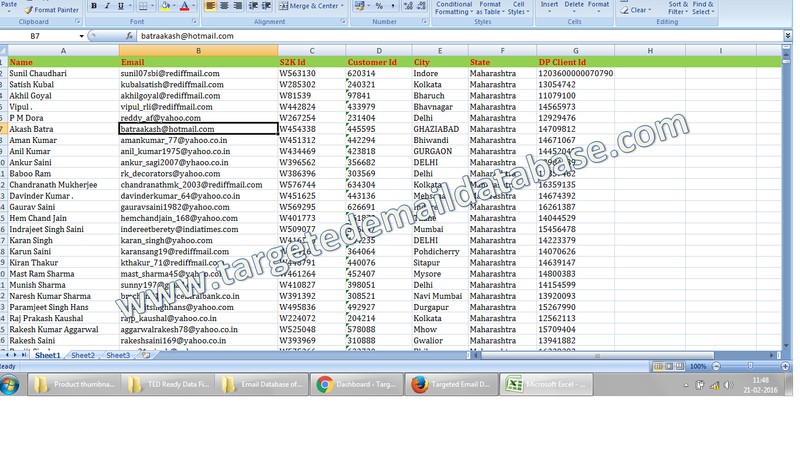 Details: Email Database of Demat Account is an Email Id List of People who has Demat Accounts and Do Trading. Fields Mentioned: Person Name, Email id, Demat Account Number, Reg Number, Bank/Institute name, Investment details, Address, Location etc (Check Samples for details). Usage: Extremely useful for Selling & Marketing of Products related to Share market Tips, Finance, Investments etc. Quantity: 9 lack 22 thousand records. after using the total 9 lack data in 2 months, it gave around 1700 leads and 670 was converted to paid customers till now.